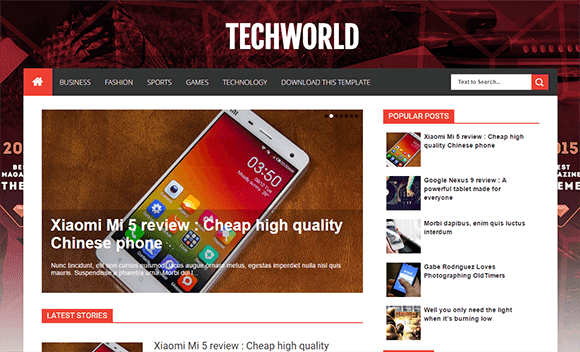 TechWorld is an elegant simple blogging theme designed to showcase your content with minimal effort. TechWorld is a modern design which will really stand out your blog and will give your visitors nice perspective of your blogging. TechWorld is also a best choice for sharing things on the web with the audience and to run a website that will have in and out information about a particular subject. TechWorld Blogger Template is a responsive design; which means it can fit seamlessly into any screen size without any visual jerks. It uses the best clean SEO practices, and on top of that, it’ s fast, simple, and easy to use.